the international fair for musical instruments, sheet music, music production and music business connections. The Musikmesse is the world's leading trade fair for the world of music. Here, you will find a complete range of products with everything required for making music, not to mention innumerable workshops, concerts, demonstrations and discussion events. 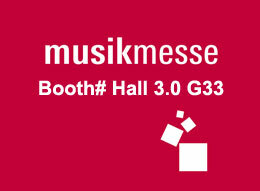 Be there from April 10 to 13, 2013 when the doors open for Musikmesse 2013 – spirit of music! 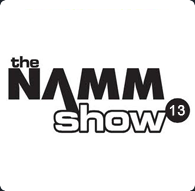 We will be participating in the NAMM 2013 which will be held in Anaheim on Jan 24th~27th and we have own a booth (Hall C 4696). A SPECIALIZED FAIR RELATED TO MUSIC INDUSTRY IN KOREA. IT’S AN IDEAL PLATFORM FOR COMPANIES SEEKING OPPORTUNITIES FOR BUSINESS WITH KOREAN BUYERS.BOOK YOUR STAND AT MUSIC FAIR 2012! and we have own a booth#E5 A72. If you participate in this show, please come and see full range of our products. We are interested in your ideas, regarding standard or custom string production as well as your packaging and delivery needs. Our commitment to our customers is ongoing! we have own a booth (Hall C 4496). New items will be launched at NAMM 2012, Come and see new products @ Hall C 4496.